The Seattle World Cruiser Association is pleased to join the world in celebration of the 100th Anniversary of The Boeing Company. 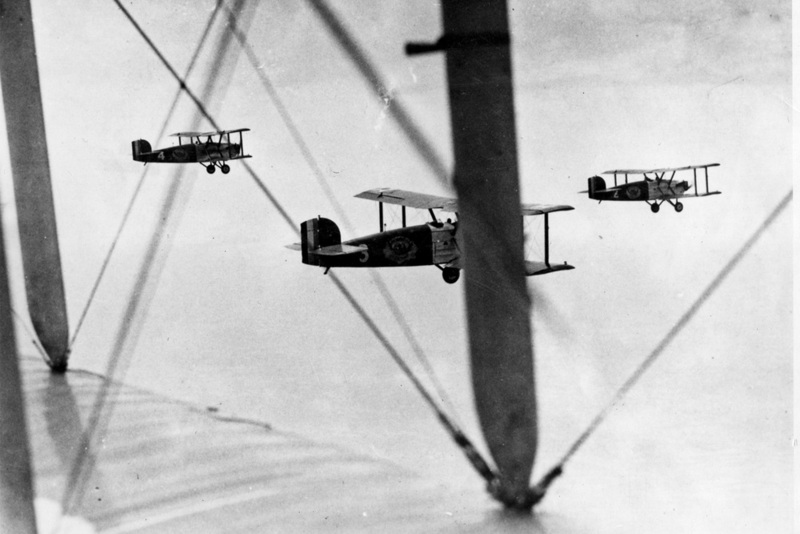 The story of the first one hundred years of the Boeing company includes a cast of amazing leaders, designers and builders, and of course a dazzling array of iconic and breakthrough aircraft. You can visit the Boeing’s centennial website to learn more about their history as well as the many exciting events they have planned for this year. We also encourage you to watch the online film “The Age of Aerospace.” It’s a wonderful 5-part series produced by Boeing and The Discovery Channel that really brings this story to life. Some of you may be wondering what our project has to do with The Boeing Company’s history. In 1997, the merger of two aviation giants brought the Boeing and Douglas aircraft companies together. However, they had worked together long before. 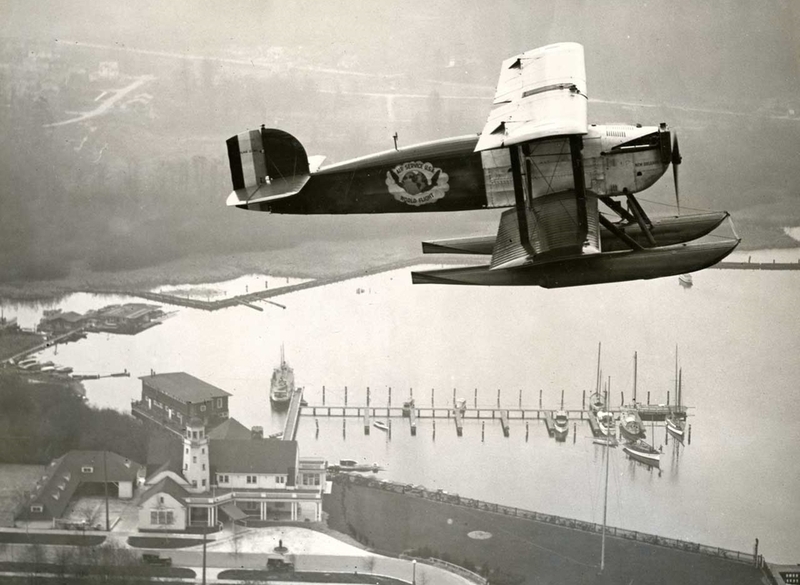 Flying Douglas World Cruisers in 1924, the U.S. Air Service landed at Sand Point in Seattle to start their momentous journey in earnest. The Boeing Company was there to help and join in the national effort for the United States to become the first country to circle the globe by air. That brief but critical effort gave the World Flight the finishing touches that launched them onto the world stage and ultimate success. It also helped usher in an era that led to even more milestone flights and advances in aviation technology that we take for granted today. 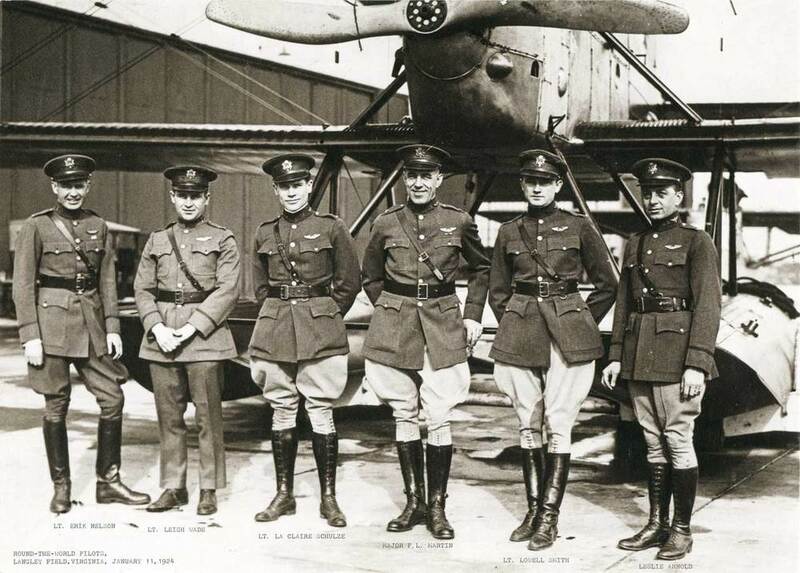 On March 17, 1924, the four Douglas World Cruisers flew from the Douglas plant in Santa Monica to the official starting point for the world flight, Sand Point Seattle. Mr. Boeing visited the field several times to talk with the crews, view the aircraft, and offer his company’s help in person. Boeing President Ed Gott wrote in a letter at the time that the world fliers were in Seattle and Boeing would be helping in a number of different ways. Boeing workers assisted in acquiring items such as anchors and ropes, clothing, and many other sundry items. However, their big job was the removal of the wheels on the landing gear and the attachment of the large 25-foot-long pontoon floats that would be necessary for the initial over-water portion of the flight. In addition, the Number 3 aircraft, Boston required some welding repair in the tail skid area due to a pothole strike on the trip north to Seattle. 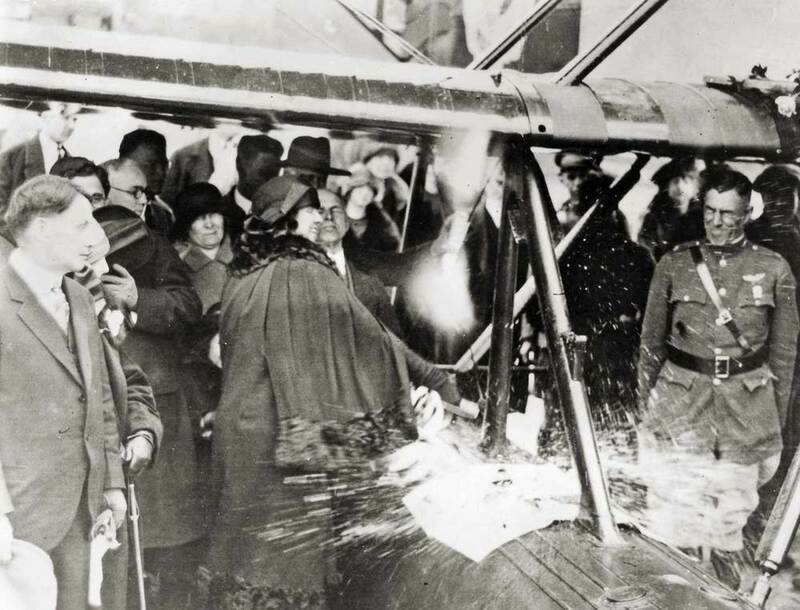 The Seattle Chamber of Commerce was the organizer of the events for the beginning and end of the flight. They were also responsible for the construction of the dock that was used. The flight was scheduled to depart Seattle on the April 5, but as they were getting underway one of the plane’s propellers was damaged which in turn caused damage to one of the floats. The Boeing gang took the propeller immediately back to the factory to start repair work on it. Continuing through the night, they arrived back at 5:30 in the morning to mount and test it. 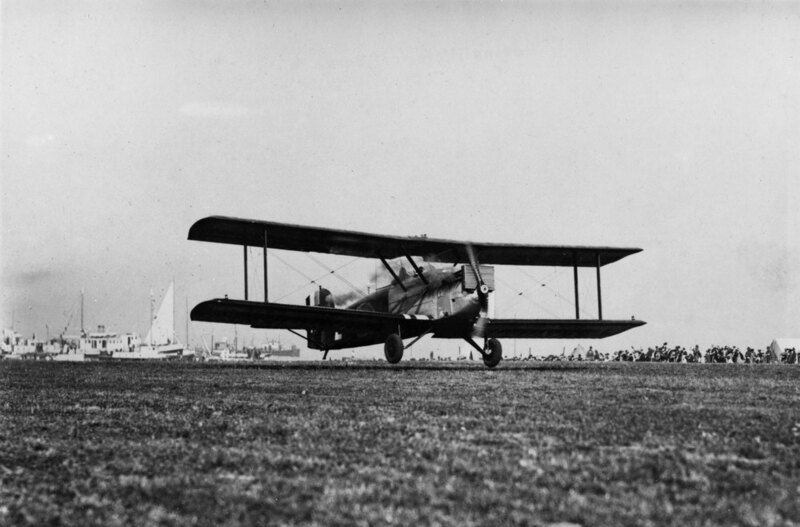 Thanks to the all-night efforts of The Boeing Company, the world flight finally was launched on the April 6, 1924. The route of the World Cruisers. Erik Nelson on the wing of the "New Orleans"
The world flight and its crew had a continuing part in The Boeing Company. After the World Flight, Eric Nelson, the successful pilot of the DWC #4 New Orleans was hired by Mr. Boeing as a personal assistant and advisor and quickly moved into the newly developed position as Head of Sales. Nelson worked with the Air Service, the Navy, and commercial customers to develop the individual solutions required of each particular task and assignment. During WWII, Nelson was lured out of retirement and into the Service by General Hap Arnold to help solve the many challenges in developing the Boeing B-29.